Just as the British TV-watching public was being captivated by the start of a three-part reality-style programme, ‘The Real Marigold Hotel’, showing eight familiar-faced senior citizens set up home in Jaipur north India, I was on my way to West Bengal in east India to take part in a gerontology conference. While the show raised some big questions about realistic retirement choices, including enjoying India’s many splendours, India is coming to terms with its own vast and growing population of older citizens. I went for a number of reasons. I’ve travelled a lot to India; Burdwan was one of the first places I ever visited in India, helping out with a flood relief programme in 1979. My own research has included a survey of support services for older people in India, and finally I had a couple of connections with the partners who were organising the conference: a link with a PhD student at Swansea University who’s undertaking research on residential care in West Bengal, and serendipitously I had met Professor Deb Narayan Bandyopadhyay, Vice Chancellor of Bankura University, another of the conference partners, while he was visiting the Social Care Workforce Research Unit last year. So there I was – lots of reasons to attend, and an abstract up my sleeve on a piece of work I’d recently completed. According to UN figures the 60+ age group currently make up 8.9%, or nearly 100 milion of India’s 1.3 billion population. It is projected to grow to 19.4% of the total population by 2050. The numbers of the very old are likewise increasing. Currently 0.9% of the population is 80+, and projected to rise to 2.8% by 2050. Traditionally, families have looked after their older members, and in the West we’ve liked to think that still happens, sometimes with a backward glance of slight envy that families still do that for each other. But as in many parts of the developing world, support in the form of traditional family networks is breaking down. Increasing internal and international labour migration, developments in technology and ICT, and the empowerment of women, have all contributed to a situation where more and more older people in India are having to live without the usual and expected means of support from their family and friends. The growing awareness that family structures are changing is but one driver in the growing interest in gerontology in India. 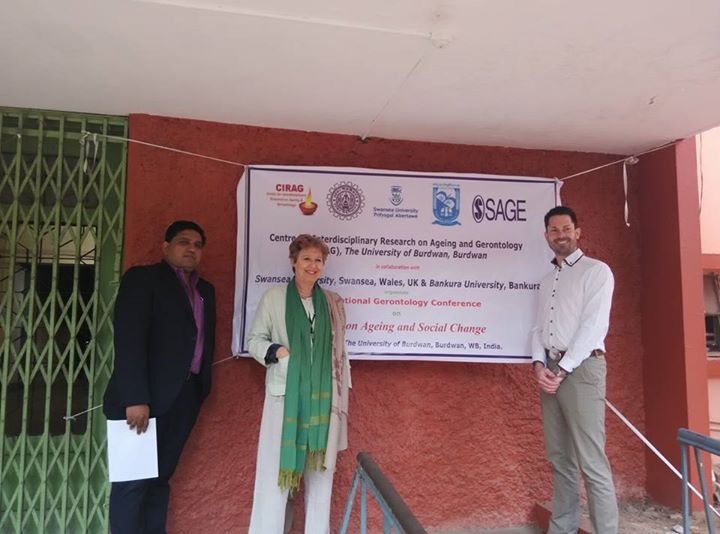 The event I was going to in West Bengal was the inaugural international conference of the Centre for Interdisciplinary Research on Ageing and Gerontology (CIRAG). CIRAG is a ground-breaking partnership between the Universities of Burdwan and Bankura, both in West Bengal, and Swansea University. It is the first centre in India dedicated to the study of gerontology.The conference was held at Burdwan University on 23 – 24 January. It was multidisciplinary in nature covering theoretical perspectives and their practical implications. The focus of the conference was on the changing role and status that older people are experiencing in India. Its theme ‘Population Ageing and Social Change’ attracted papers from many disciplines. Intriguingly, there were several from the field of literature – ranging from discussion of Bengali tales to writings from Robert Browning and Philip Larkin. King Lear made an appearance in three papers. Law was the other discipline that dominated the conference, with an analysis of the representation of older people in UN human rights instruments to the range of laws and policies in place in India available to support older people. Sarbojit Biswas, Assistant Professor, Department of English, Barjora College, the University of Burdwan; Valerie Lipman, SCWRU; and Paul Nash, the Centre for Innovative Ageing at Swansea University. The nature of the papers was a mix of ‘intuitive’ research, reflecting on the meaning of old age in literature and other media; and qualitative and quantitative research, primarily in the fields of dementia and residential care. The four papers on residential care were indeed a strong reflection of the changing nature of care for older people. The paper I gave on behalf of SCWRU summarised the findings from our international review of vetting procedures for protecting vulnerable adults from potentially abusive care workers. As our review found, this was not, as in most other countries, mandatory practice in India, but checks are carried out by some organisations that work with vulnerable people. The first and last lines from Browning’s poem Rabbi Ben Ezra, ‘Grow old along with me! The best is yet to be’ and ‘Let age approve of youth’ encapsulated the dominant theme of the conference on changing attitudes. The traditional patriarchal and patrilineal social structure of India is facing new challenges. The breakdown of the joint family structures and the backbone of the dominant cultures (this is not so much the case in Tribal areas where the joint family system continues) has resulted in a loss of status for the head of the family and a shift in family decision-making. By the end of the conference many more new areas for research had been mooted – including exploring the impact of changing patterns of family decision-making, the role of the nuclear family in looking after older family members and how to realise a meaningful life in older age. Watch out for the next CIRAG conference! We’ve a lot to learn from others’ exploration of gerontology. 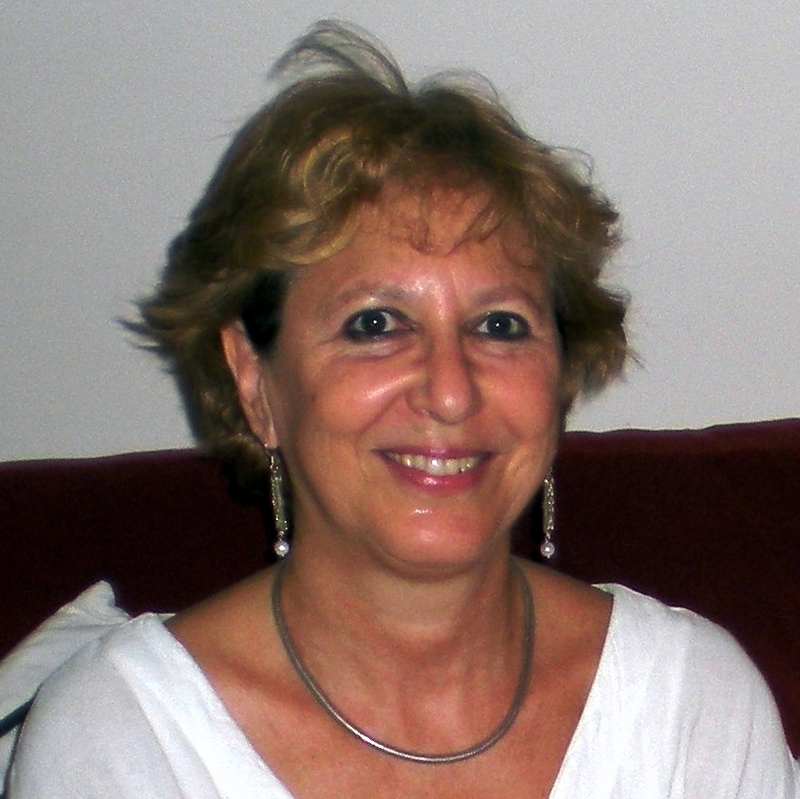 Valerie Lipman is an honorary Postdoc Research Fellow at the Social Care Workforce Research Unit, the Policy Institute at King’s. This entry was posted in Ageing, International and tagged Valerie Lipman by . Bookmark the permalink.